Sudden urge to watch Willy Wonka & the Chocolate Factory? You’re welcome for that. 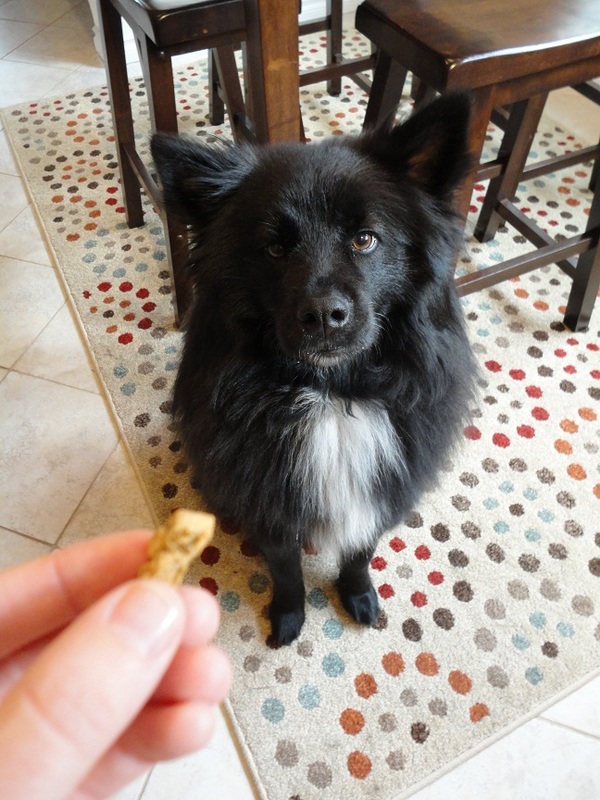 Unlike Voilet Beauregarde, your dog will not turn into a blueberry after eating one of these treats. You may think they will because of how delectable Fruitable Pumpkin Blueberry treats smell, but I assure you, they won’t. 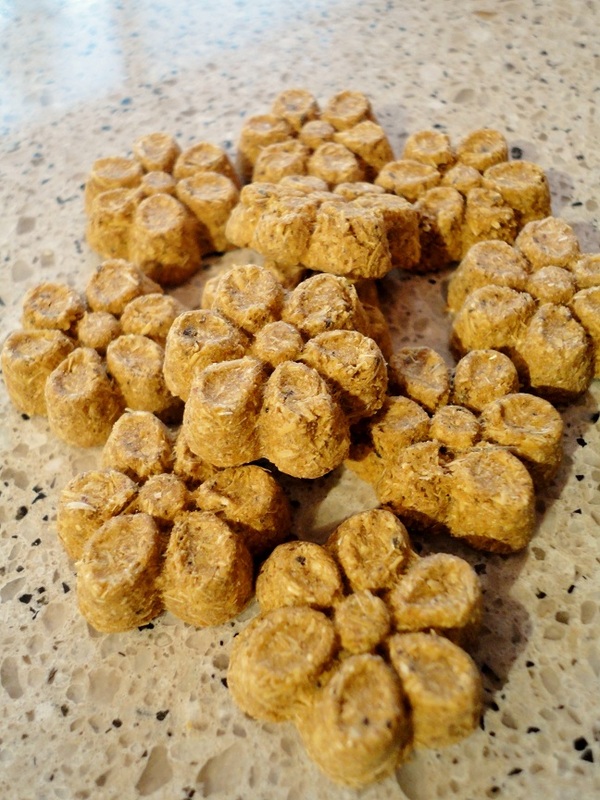 Why do these treats smell so amazing that I want to shove a handful in my mouth every time I open the bag to give The Little Blogger one? It probably has something to do with the ingredient list. Ok. I’m sorry. I can’t continue this post without asking if the scene where Augustus Gloop gets sucked up the chocolate tube totally freaked you out as a kid. 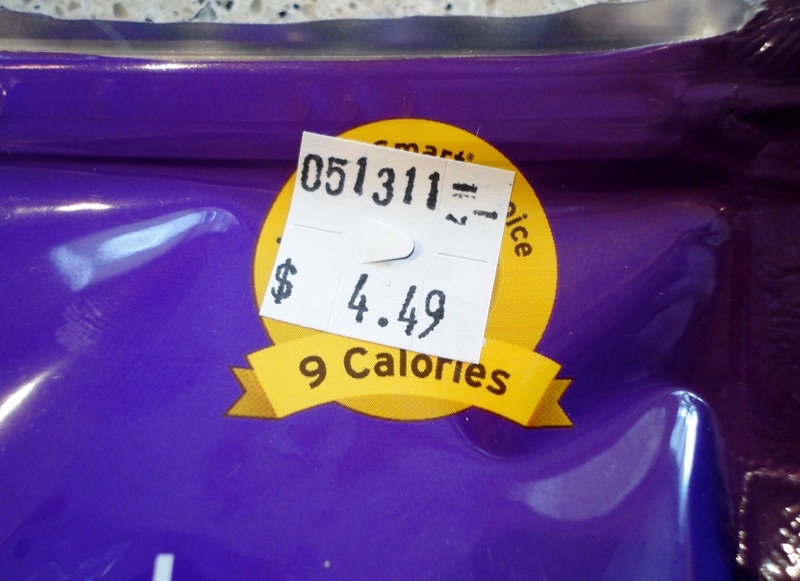 Because it made me not want chocolate for a very long time. 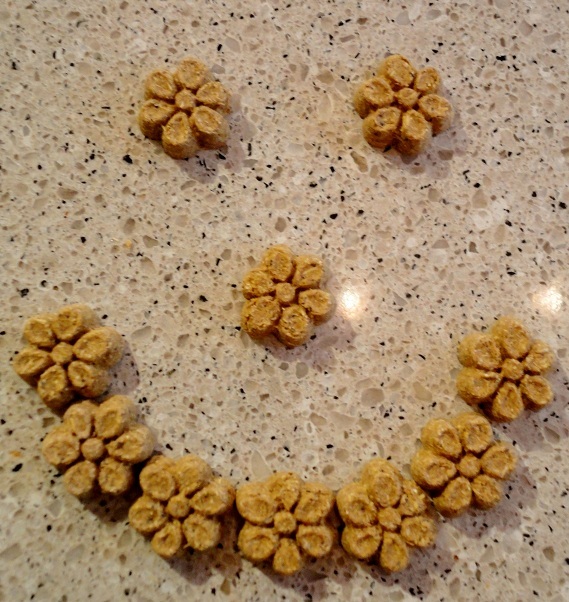 Good news – no chocolate in Fruitables Pumpkin Blueberry treats! 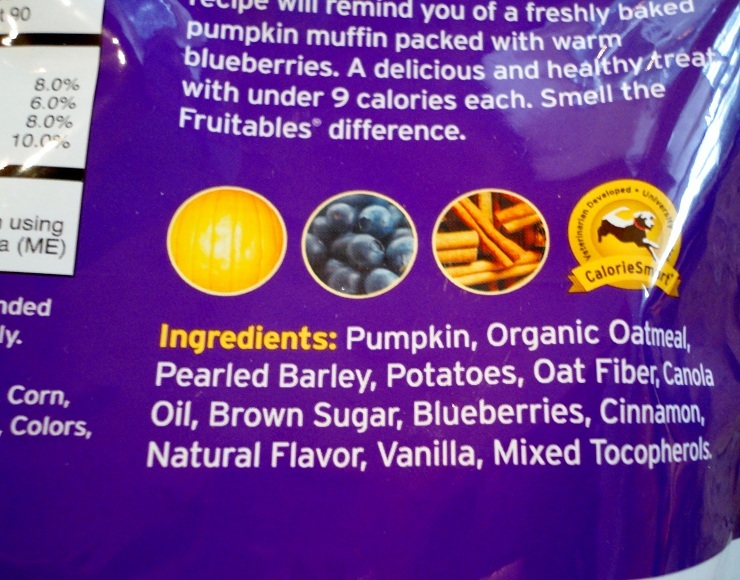 Just pumpkin, oatmeal, potatoes, blueberries, brown sugar, vanilla, and a coupla other things. I tell no lies, people. 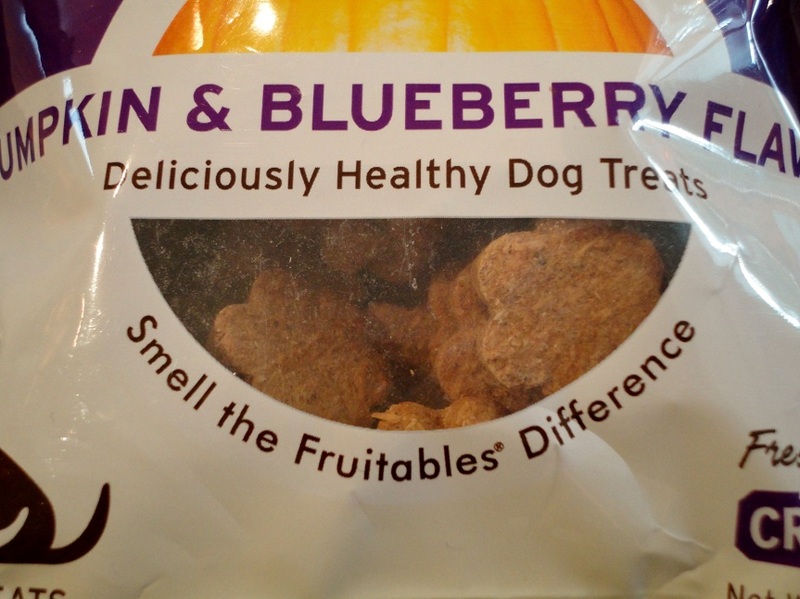 These treats smell like fresh blueberry muffins. And I don’t know about you, but I love fresh blueberry muffins. Smell the Fruitables Difference! Literally. Hey, lady. I will take some of what you’re selling. 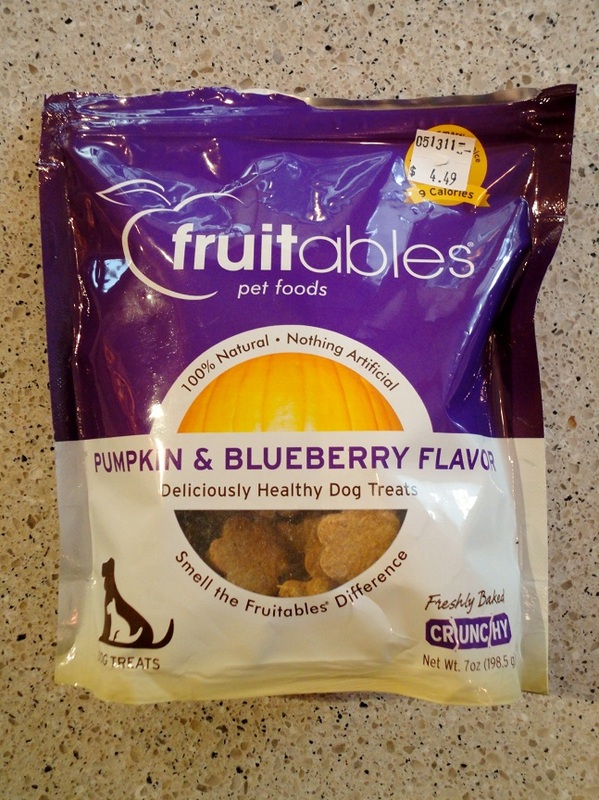 Teton loves both pumpkin and blueberries, so I know he’d be nuts for this treat. 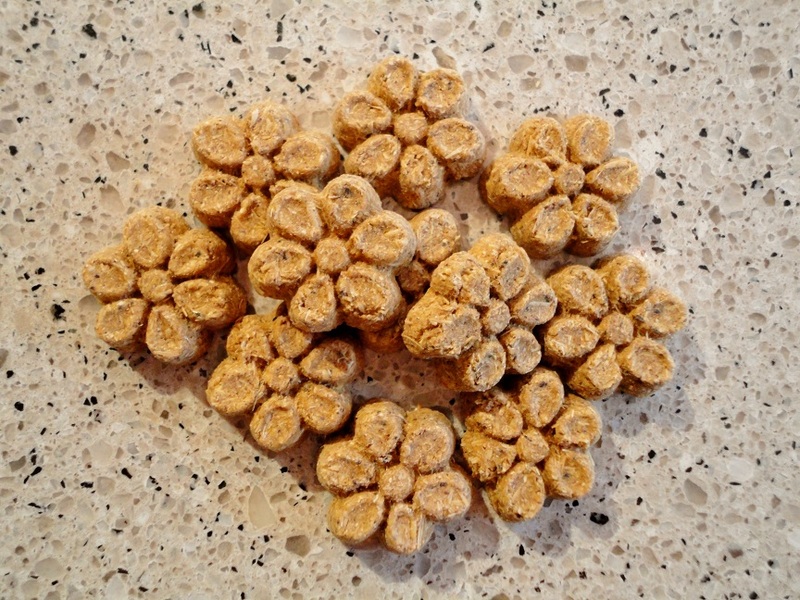 Pumpkin is good for dogs because it’s full of Beta-Carotene, is fiber-rich, and has a bunch of antioxidants. Blueberries are also high in antioxidants, are fiber-rich, and are a great source of vitamin C.
Teton had a handful of blueberries in his dinner tonight. Yum! I’m not telling whether I can speak from experience. Check out all of the Fruitables treat flavors on their website. Now, get outta here you crazy kids. See you on Thursday. 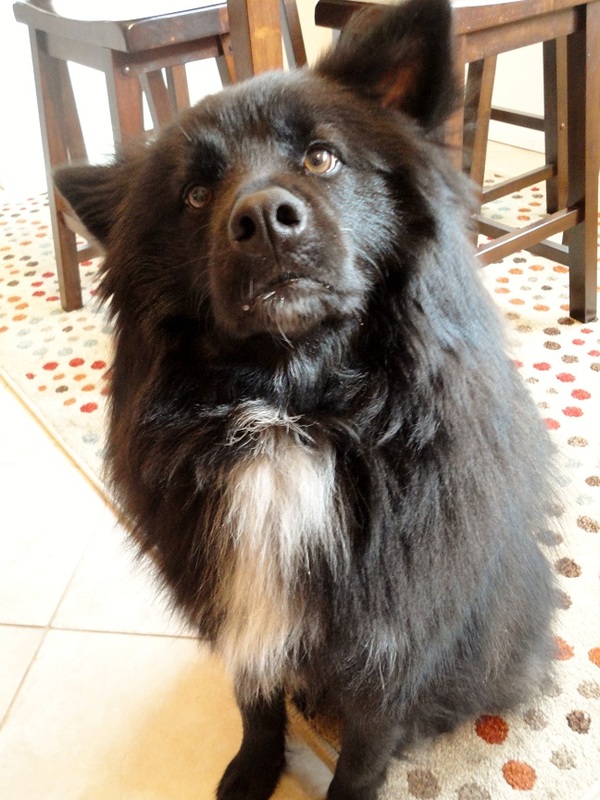 Posted on October 11, 2011 by Shannon	This entry was posted in Treat Jar. Bookmark the permalink. 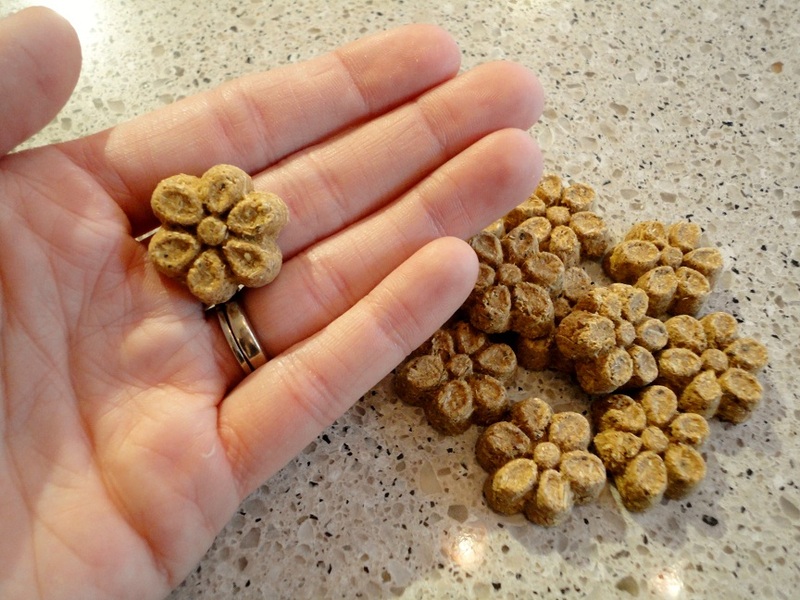 Where do you buy the “daisy” treats ?